I have confirmed this is a FAKE. It just bring PSP up to 6.35PRO-B5 that was hex Edited. This was not made by Dark_AleX. Just another fake. Tested by Our Members : status = Fake. * With M33 VSH MENU, you can view or change system settings, etc. 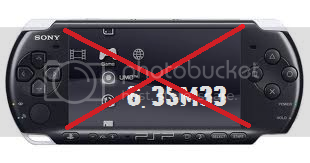 *if your using psp 3000/GO You need to be in 5.03 or 6.20HEN to load the eboot , Copy the Update folder to psp/game. *if your using psp 1000/2000 You can directly Load it if your psp is hack, Copy the Update folder to psp/game. Gonna add some more with cool features.